All operations are made under safe and sterile conditions. The operator may operate completely isolated from the manipulated substance. 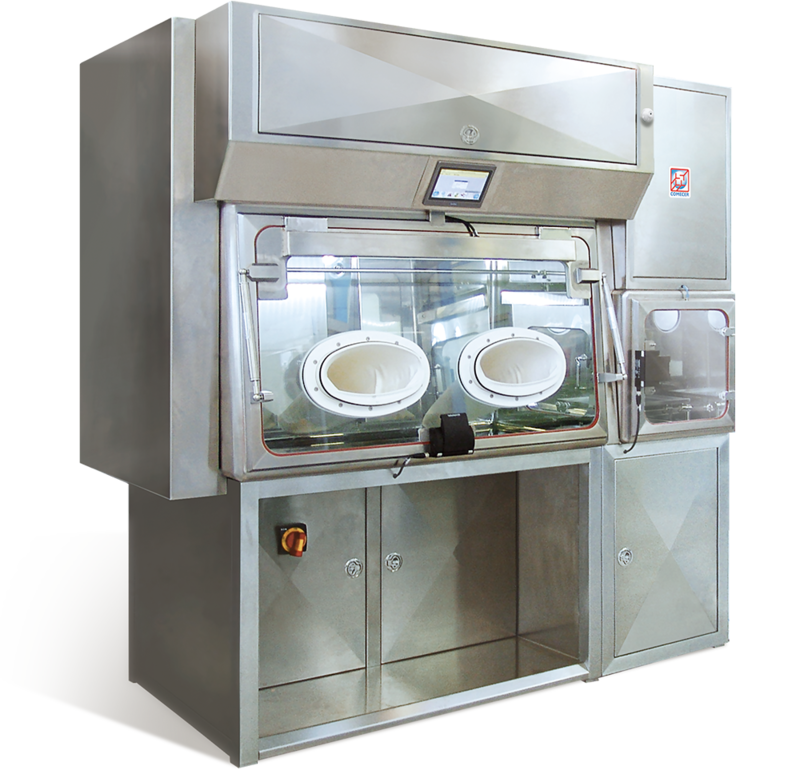 The PHL isolator is equipped with safety characteristics not found in normal laminar flow manipulation hoods. Furthermore the installation of the isolator allows the adoption of a less strict classification area in the laboratory (class D sufficient), in this way the lab construction and operational costs (building, electrical & ventilation plants) will be reduced and personnel will be able to work with no special gowning. 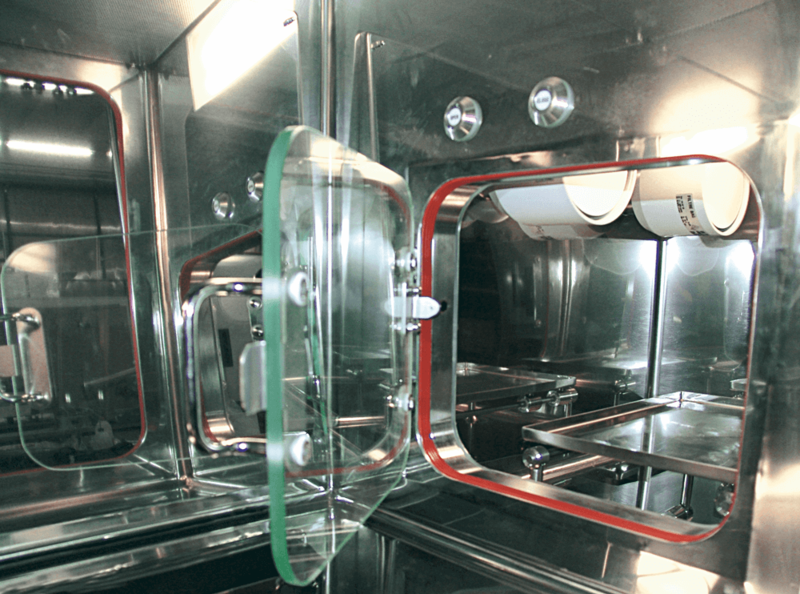 The configuration of the isolator consists in a laminar flow work chamber, where dispensing of substances in syringes, vials or bags is carried out and a lateral inlet/outlet airlock that allows the introduction and retrieval of materials, maintaining a protected environment inside the main chamber. All the operations which normally carried out in a Hospital Pharmacy can be safely carried out with the PHL Isolator. Through the large windows it is possible to keep all production steps under close control and at the same time to ensure the maximum protection grade. At the end of the production cycle, cleaning operations may be carried out using gloves. The front wall of the work chamber can be completely opened in order to facilitate maintenance operations. 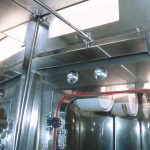 The isolator is mounted on wheels and this allows easy maintenance and cleaning operations. 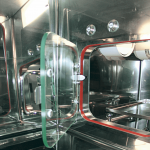 In comparison to the classical laminar flow hoods, this solution allows great in terms of environment management. There is no equilibrium alteration, when the operator leaves his working place. 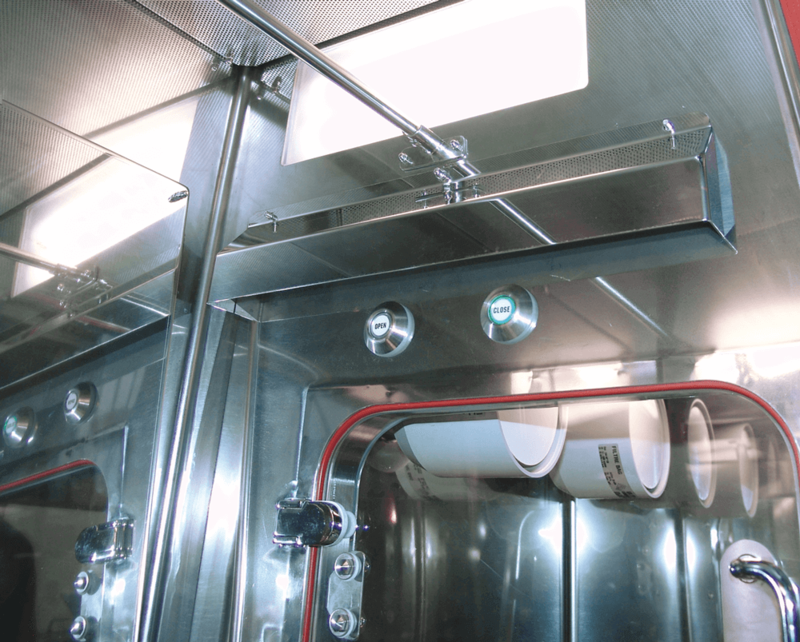 The inlet/outlet prechamber is fitted out with a barrier bag, and it allows a perfect working organization by reducing the risks connected to the manipulation activity. Thanks to an attentive ergonomic study, the operator can work while he is sitting. The big glove flanges allow a great freedom of movement throughout the working area.